You get a bar, and you get a bar! Crank up the air con because it is about to get HOT in here. Brisbane’s about to gain every new bar under the sun, from hip-hop to vegan to swim-up. Some might say that’s raising the bar in Brisbane’s social scene. Fish Lane is about to gain four new freakin’ legendary venues! You’ll be hooked on hip-hop barber and bar Next Episode, dedicated vegan burger bar Grassfed, and well-loved household names, Kiss The Berry and DA’Burger. Find out every delicious detail here, grab your floaties, and get ready to swim through a sea of sensational newbies. 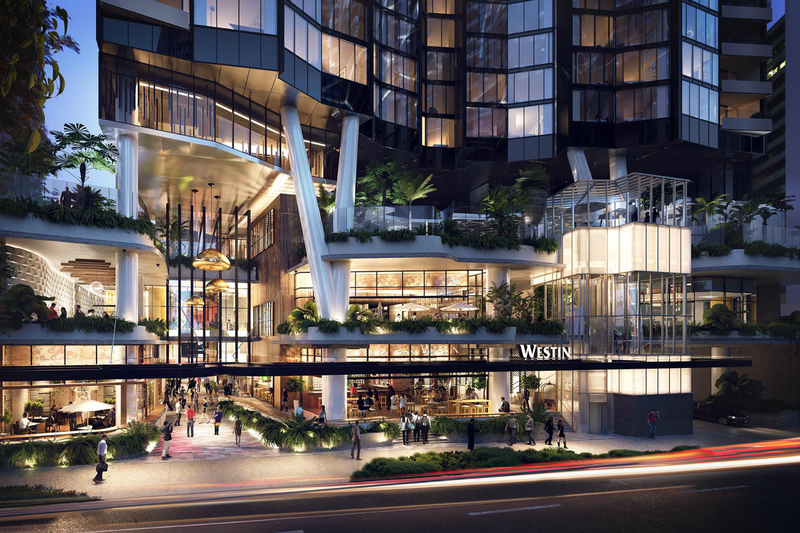 The Westin is about to be the best hotel in Brisbane. Opening this Thursday, your next staycation or night out will be upped by three in-house venues; jazz cocktail and wine bar The Charles, signature restaurant Eden’s Table, and The Nautilus – which is, brace yourself, set to be Brisbane’s first swim up bar! You’ll find us knee deep in both the pool and piña coladas. Mega feasting markets are setting sail for North Harbour! BITE will be a place for people to gather, eat, drink, and be merry all year round. With 60 flavour-makers and hundreds of eats up for grabs, your new favourite bitey boi is just around the corner. Sunshine, lollipops and… hot dogs. The Bavarian Sunshine Plaza is opening this Friday, with a grand gesture to celebrate. Get up there from 11am to land one of 500 saucy snags, for free! Hot diggity dog. Pirouette and pinot noir into the night at Persone. La Scala Ballet Company is dancing their way into our good books by hosting a five-course dinner that’ll raise money for The Courier Mail Children’s Fund. The dinner will include the likes of wagyu bresaola, osso bucco and panettone, accompanied by gorgeous Italian wines. You can book tickets by calling 3369 9500. Four new Fish Lane venues are on their way! Forget Nemo, we’ve found four new venues that are making their way home for a delicious family reunion.